I crocheted this necklace many many years ago. I decided to crochet another one to help me remember what I did and to show the steps. Next week is the 4th so I pulled all the red, white and blue buttons I could easily find in my grandmothers collection. She gave me her collection in the early 90’s. 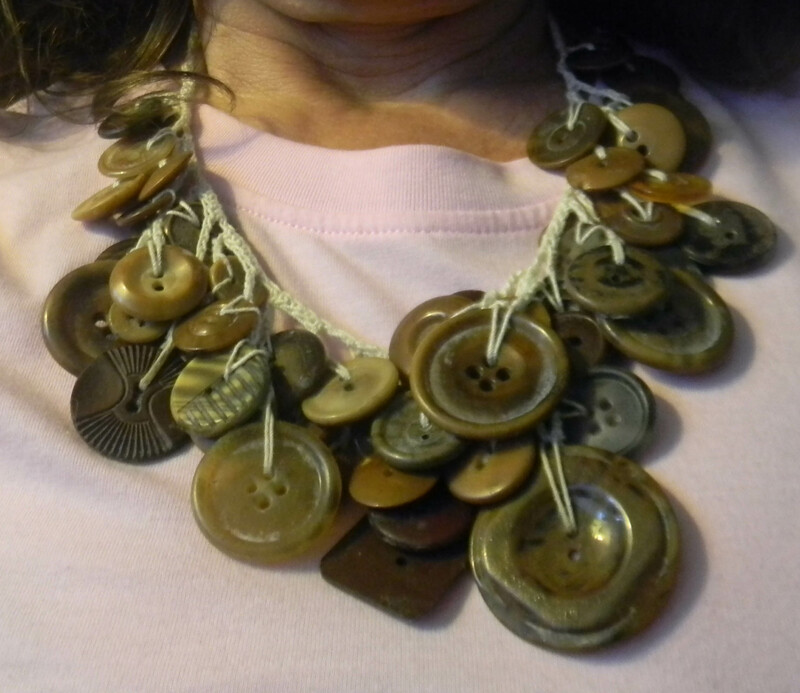 The hardest part about the necklace is deciding which buttons to use. 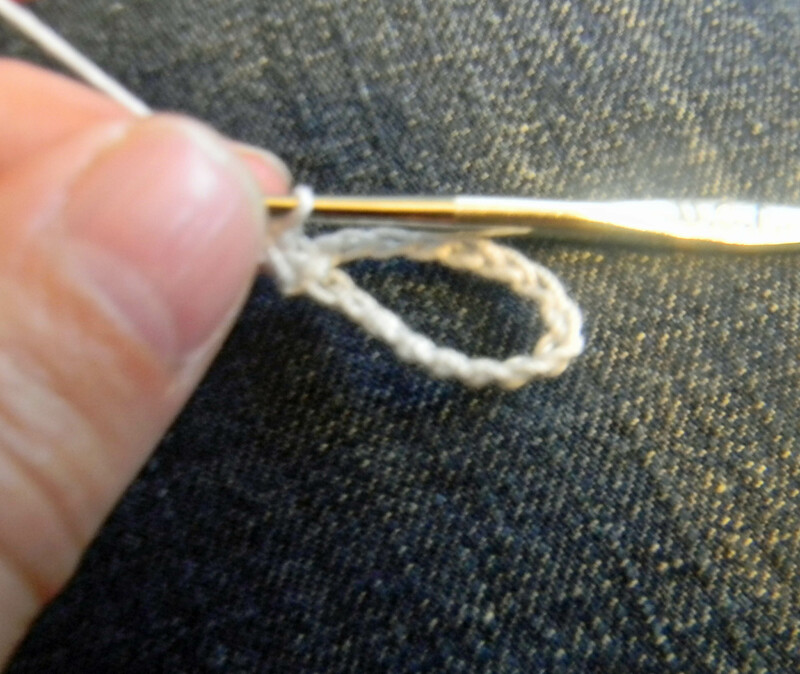 I used a size 6 crochet hook and size 10 crochet thread. 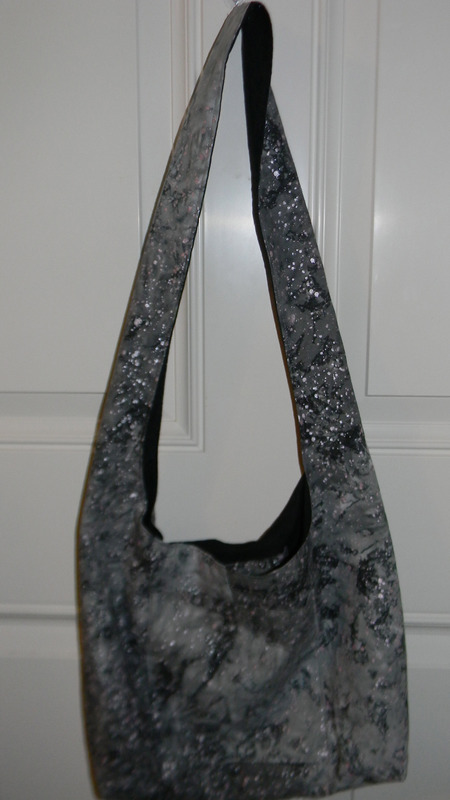 I first attached a button for the closure and then chained 160 chains. 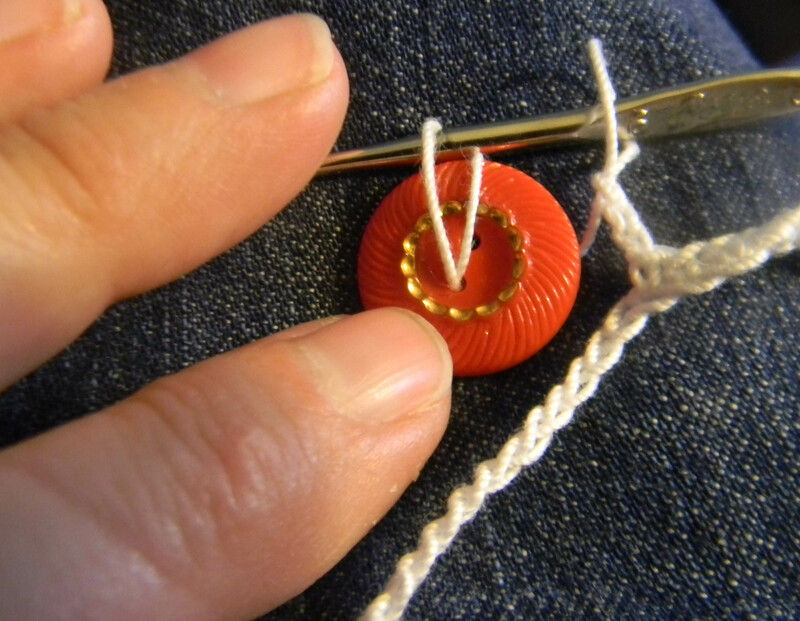 Next I needed to figure out how many chains were needed to make a loop that would fit around the button. For the button I chose I skipped 15 chains. I then crocheted 38 sc in the next 38 chains. It was now time to add buttons. I crocheted a chain of 3 and added a button and repeated this step 2 more times. After the 3 buttons were added I chained 3 and then crocheted 4 sc on the base chain. 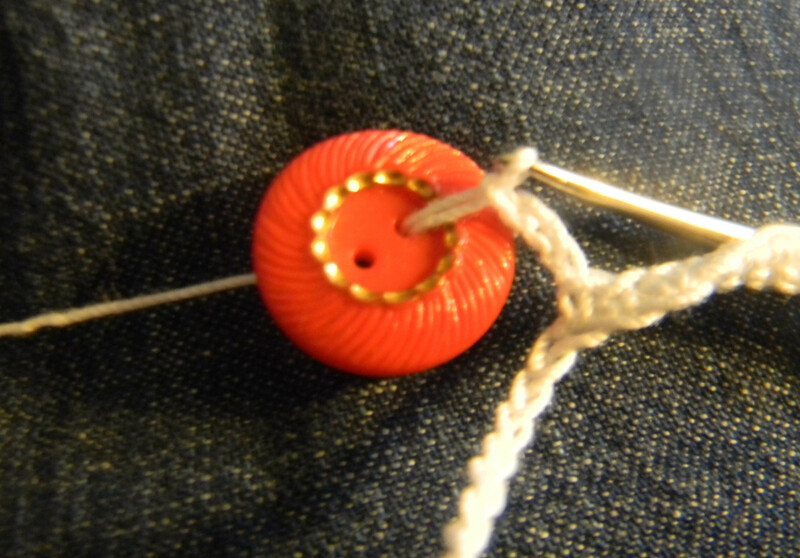 I then repeated the button loop finishing with 4 sc on the base chain. 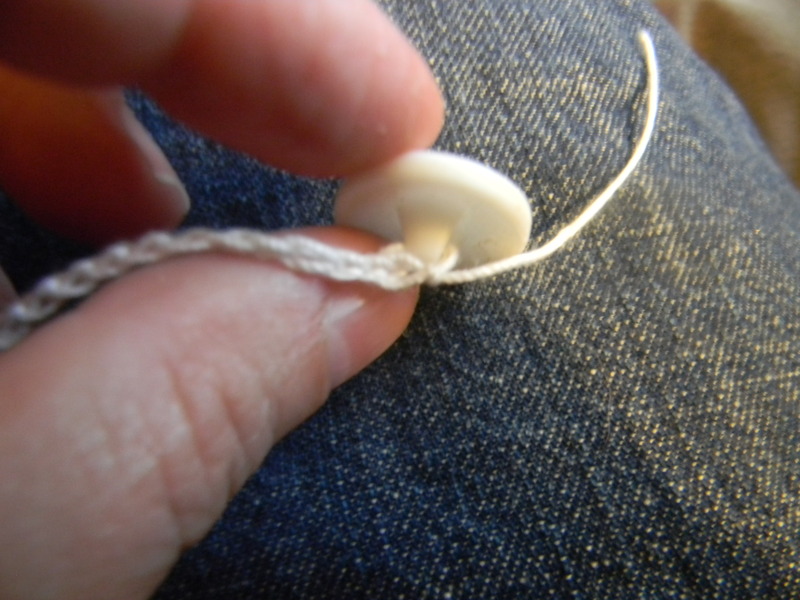 When I made the next loop of buttons I chained 4 between each button and repeated this step, then two loops of 5 chains between each button and then two loops of 6 chains between each button, ending each button loop with 4 sc on the base chain. Then I reversed this with two buttons loops of 5 chains between each button, two loops of 4 chains between each button and then two loops of 3 chains between each button. 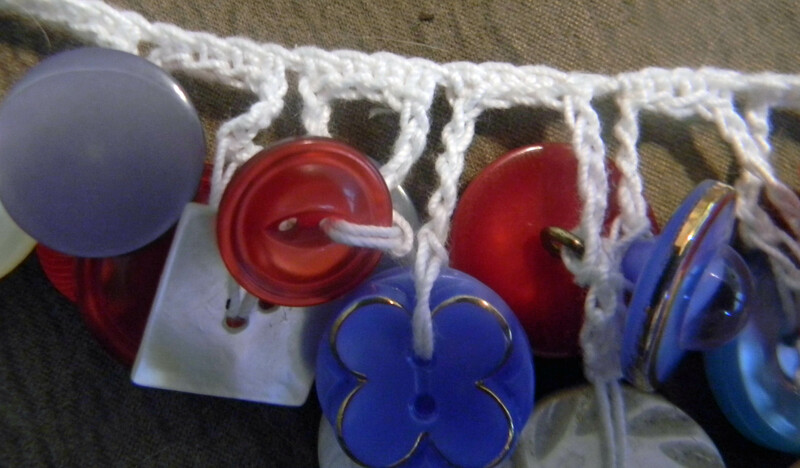 After each button loop I crocheted 4 sc on the base chain. After all the buttons were added I finished with sc’s on the base chain up the to button closure. I tied off the yarn and worked the tails in. You could add a dab of glue to make sure it is secure. 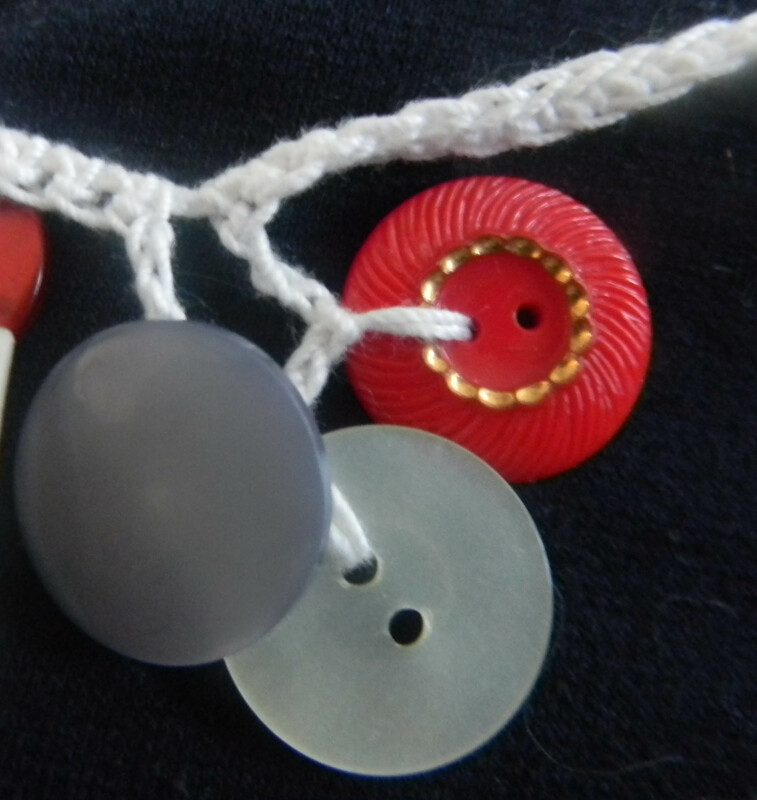 There are 33 buttons on this necklace which includes the closure button. NOTE: The skys the limit on this pattern. 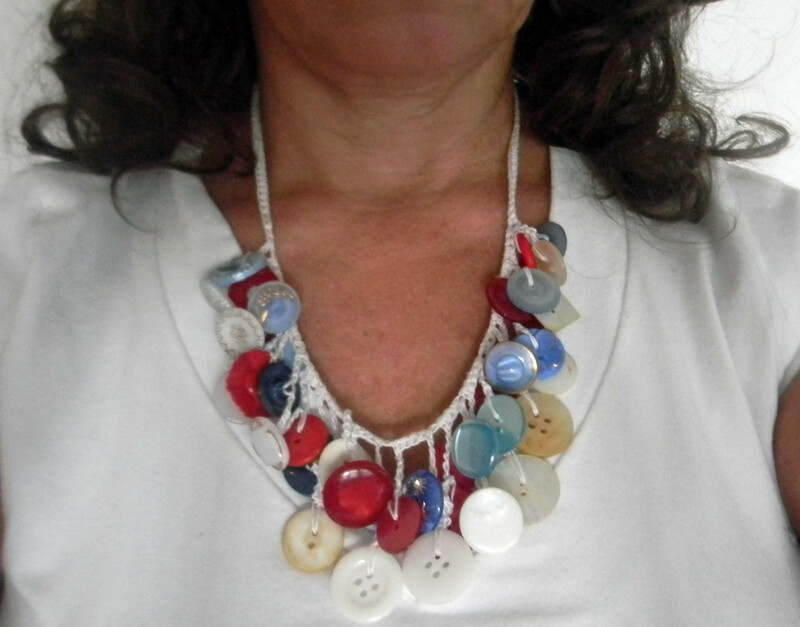 You could use more or less buttons, use more or less loops or use charms and beads instead of buttons. You can change the length by chaining more or less chains and even made it into a choker. I think I could actually do this! Thanks! Your welcome. Can’t wait to see yours! !